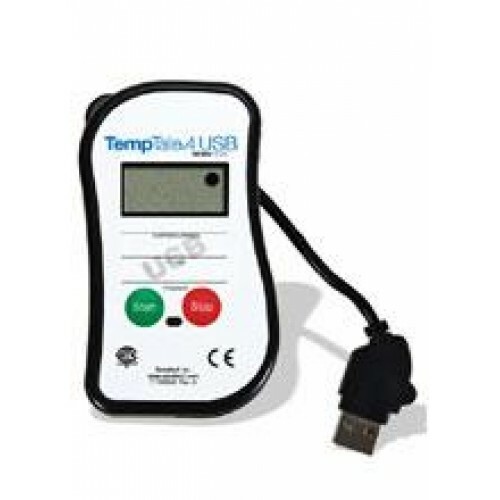 Here, market leader, Sensitech have created a state of the art Cold Chain Shipping Trip Temperature Logger in the TempTale 4 USB. The beauty of this device is that it analyses temperature fluctuations over the duration of shipment by simply inserting into the USB port of an everyday PC without the need for proprietory software. The parameters of the device are set to the requirements of the customer before it leaves the factory. For example - the duration of the trip, the acceptable low/high range of temperature tolerances during the trip; eg +2 to +8 Deg C, whether the alarm needs to be audible or just an icon on the LCD display, how soon the alarm needs to display once the temperature has gone out of tolerance etc. You Specify and the TempTale 4 Complies! The data from the TempTale 4 USB can be universally analysed at disparate receiving sites and understood in the common language of Adobe PDF format. Critical Data can be then e-mailed to interested parties worldwide. An ideal application for this device would be transportation of Clinical Trials Materials. Please Click on the PDF for more information or Send us an e-mail enquiry so we can discuss your needs and customise a TempTale 4 USB or related device to them. Price shown excludes VAT & Delivery.